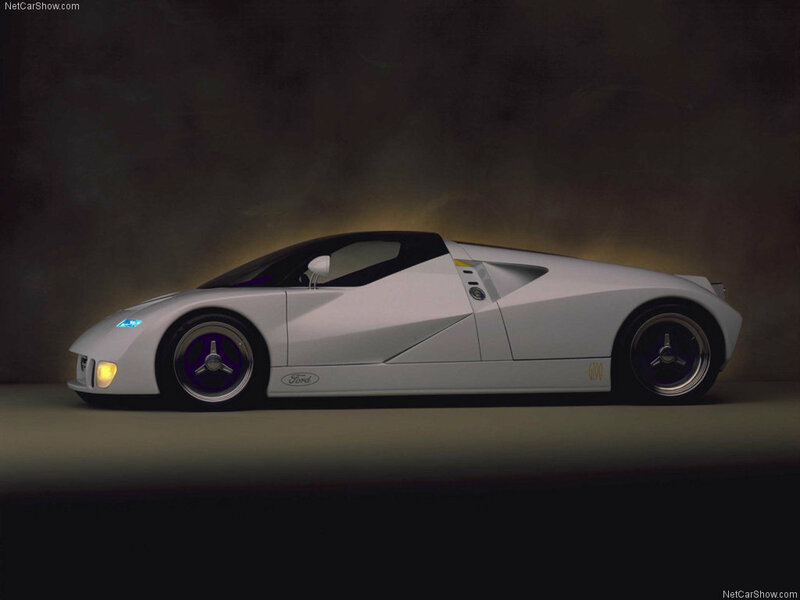 The modern angular-looking concept car was unveiled in 1995 at the Detroit Motor Show with a GT90 nameplate. 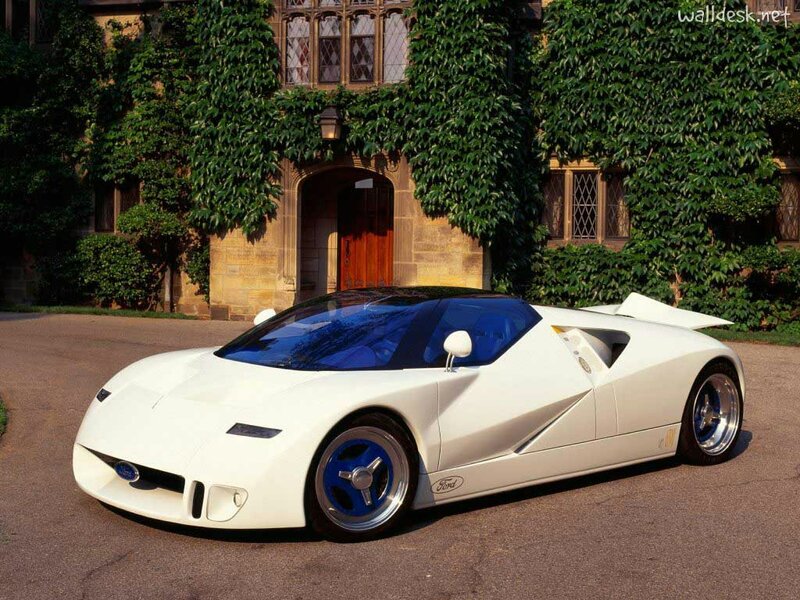 This supercar was claimed to be “the world’s mightiest” at that time: quad-turbocharged 6-liter V12 with 48-valve engine was mounted in the middle and might have produced 720 HP and a top speed of 250 mph [402 km/h]. 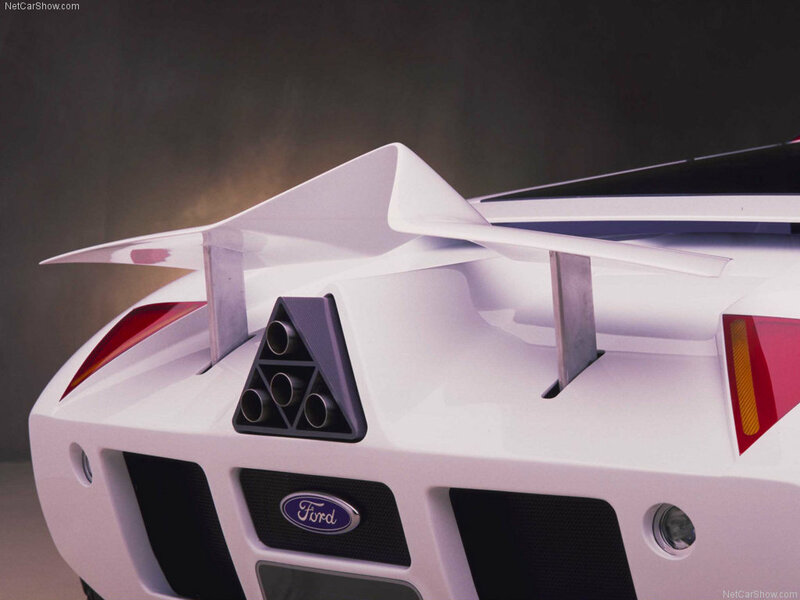 One of the interesting features was exhaust – it was so hot that it could damage the body panels so it required ceramic tiles for heat prevention. 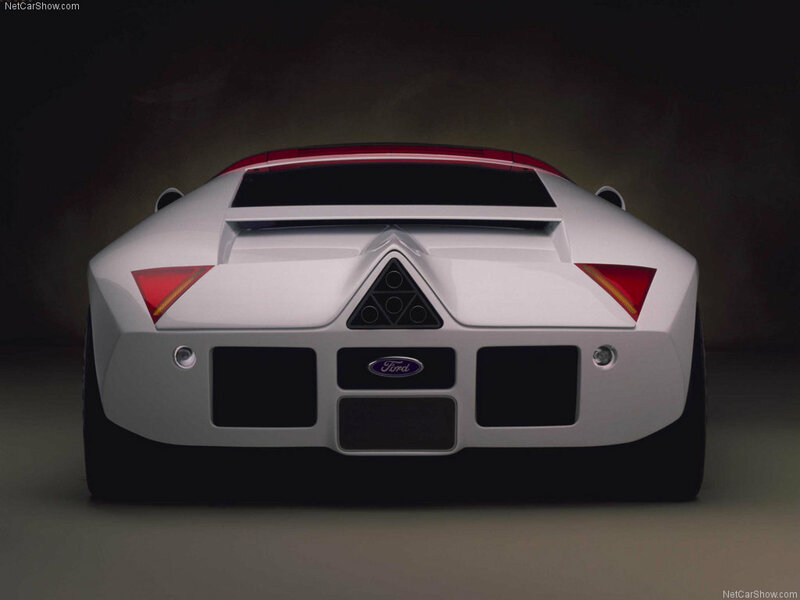 The name plate prompts that GT 90 is the offspring of the famous and iconic Ford GT 40, but has taken almost nothing that considers design [maybe except doors that cut into the roofline]. 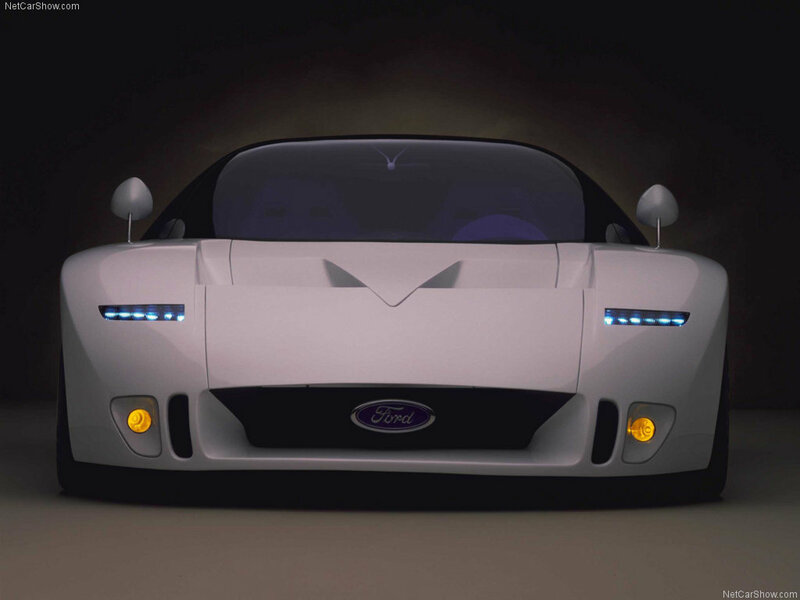 GT 90 was the first one to display Ford’s “New Edge” design trend. Surprisingly, the mighty-ninety was built in 6 month by a small team. 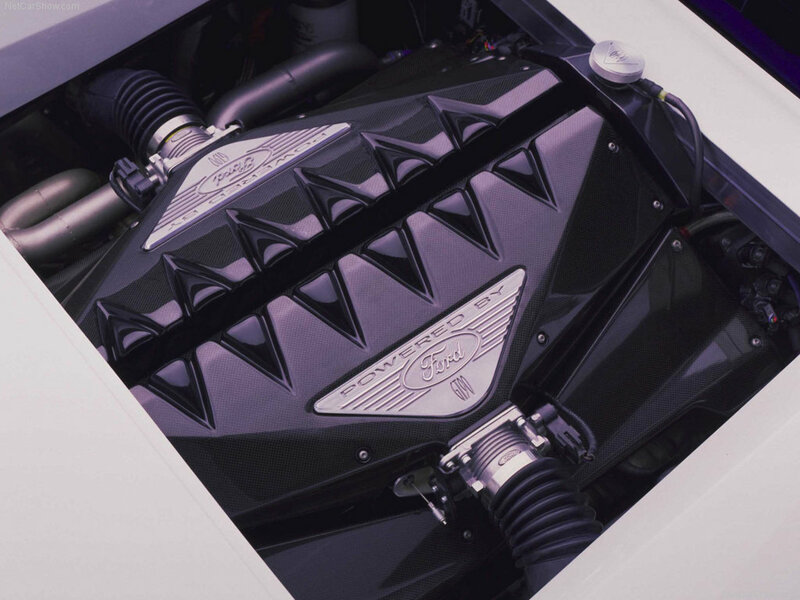 As a result, the car borrowed many components from the Jaguar XJ220 – double wishbone suspension, 5-speed manual transmission. 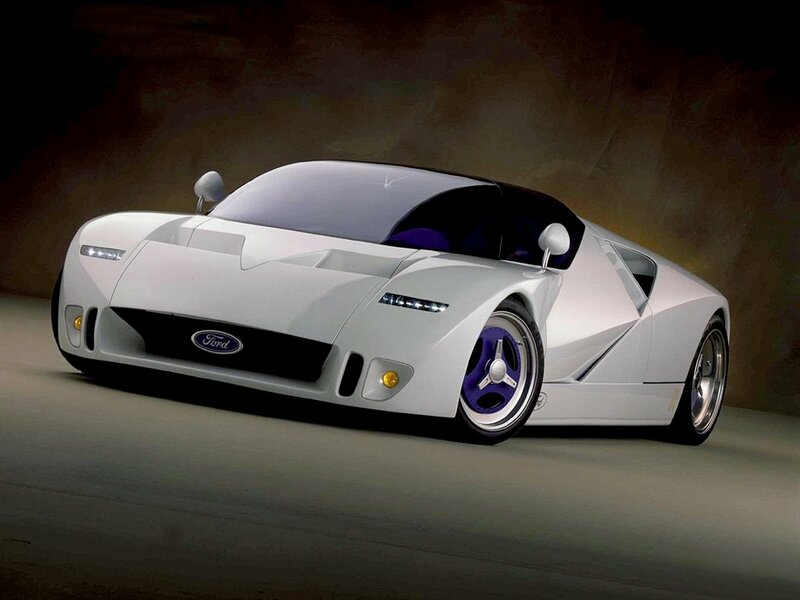 The engine was from an other Ford family member – the Lincoln Mark VIII. 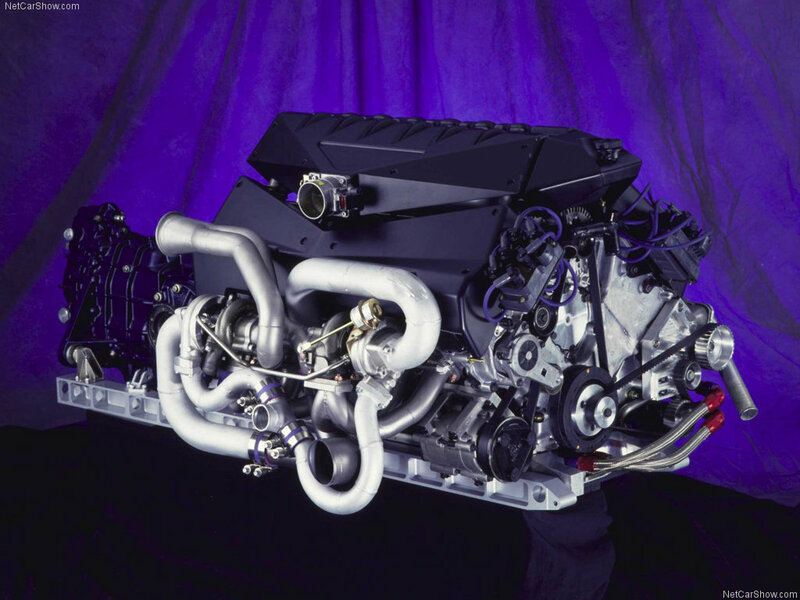 The six liter engine was born quite in a natural automative way – two V8s [4.6 liter DOCHs] had their 2 cylinders removed and then welded together in 90 degree angle. 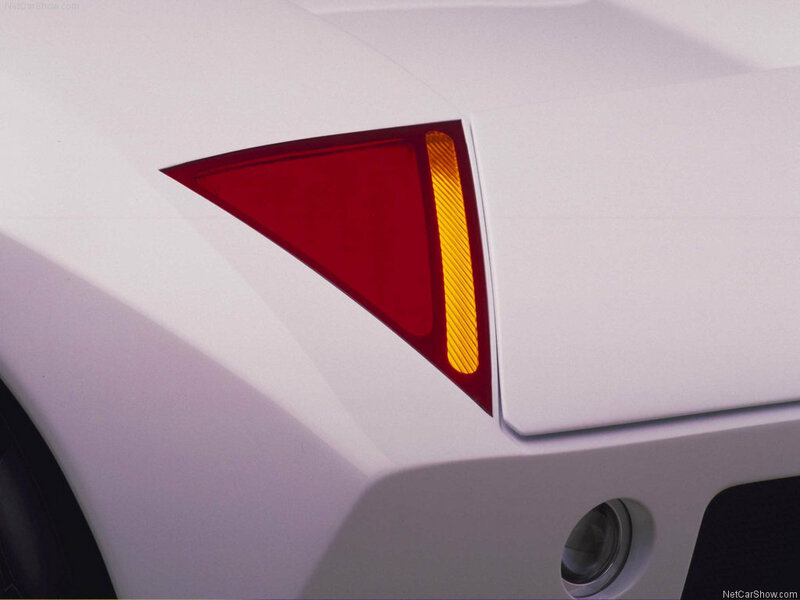 Sadly, this can may be driven only in some games. There are also some enthusiasts that have made GT 90 replicas.